ACTS LINE-UP FOR CAMDEN ROCKS! A first list of acts has been announced for this year’s CAMDEN ROCKS, once again proudly sponsored by Vive Le Rock! 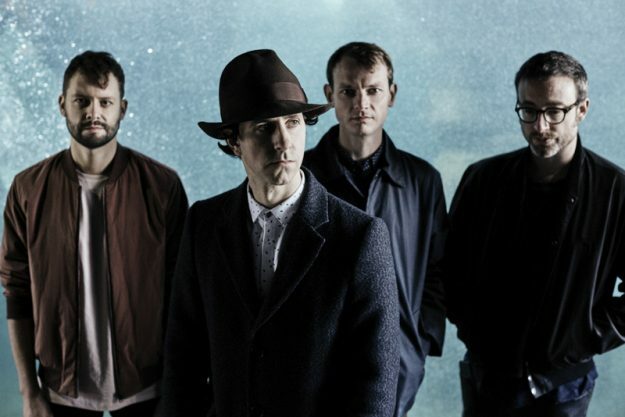 Now in its seventh year, the one day festival will take over the North London rock’n’roll enclave on Saturday 2 June with the likes of MAXIMO PARK, PiL, THE PROFESSIONALS, POP WILL EAT ITSELF, RAGING SPEEDHORN, URBAN VOODOO MACHINE, SONIC BOOM SIX and German legends BEATSTEAKS. Also confirmed are TWIN ATLANTIC, TOWERS OF LONDON, THE MAIN GRAINS, MASSIVE WAGONS, FREEZE THE ATLANTIC, DUCKING PUNCHES, ASYLUMS, HANDS OFF GRETEL, DUKE OF WOLVES, MOSES, PRESS TO MECO, CHILDCARE, JB CONSPIRACY, GOLD KEY, CANVAS, SCREECH BATS, NIGHTLORD, BLACK ORCHID EMPIRE and many more…. Venues participating this year include Koko, Electric Ballroom, The Underworld, Dingwalls, Proud, The Cuban, Monarch, The, Lyttelton Arms, Camden Assembly, Devonshire Arms, Roundhouse Studio, Dublin Castle, Blackheart, Fiddlers Elbow, Dingwalls Canalside, Camden Cavern @ Belushis, The Hawley Arms, Brewdog, Camden Market and The Crescent. More names and tickets priced at a very reasonable £39.50 can be found on the Camden Rocks website. ‹ MUMMIES AND PRETTIES FOR LE BEAT BESPOKE!